A huge leak of documents has lifted the lid on how the rich and powerful use tax havens to hide their wealth. The files were leaked from one of the world's most secretive companies, a Panamanian law firm called Mossack Fonseca. Here BBC reporters look at some of the reaction in the regions they cover. A full analysis of the files shows that nearly one third of Mossack Fonseca's business came from its offices in Hong Kong and China - making China the firm's biggest market and Hong Kong the company's busiest office. At least seven current and former leaders were found to have links to offshore companies set up by the Panamanian law firm, including the Chinese President, Xi Jinping. Owning offshore companies is not illegal in China but the existence of these secretive financial structures raises all sorts of questions for the families of China's leaders. What is happening at Mossack Fonseca is being replicated elsewhere too. Rich Chinese are using Hong Kong as a gateway - to protect their wealth by moving it overseas. The information revealed in the Panama papers has had repercussions throughout Latin America. In Argentina, the office of President Mauricio Macri confirmed that a business group owned by the president's family had set up an offshore company through Mossack Fonseca. But the president's office said that Mr Macri himself had no shares in the company and that he had never received any income from it. The most surprising name to crop up in the files so far has been that of Gonzalo Delaveau. 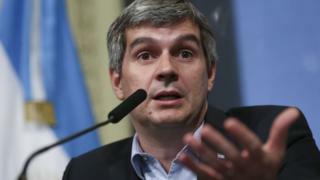 The chairman of the Chilean branch of anti-corruption campaign group Transparency International has been linked to at least five offshore companies. While Mr Delaveau is not accused of illegal activity, Transparency International welcomed his resignation on Monday. Probably the worst-hit country though has been Panama itself, where the law firm at the centre of the scandal is based. Panama had been trying hard to shed its reputation as a centre for money laundering. On Tuesday, President Juan Carlos Varela promised to "defend the image of our country" but as the revelations continue to emerge, he looks set for an uphill struggle. Unlike in Iceland, there have been no protests on Arab streets calling on leaders to step down following the leaks of offshore accounts. Several prominent Arab leaders and members of their families were named as making a fortune from avoiding tax, like the Saudi royal family, the family of former Egyptian President Hosni Mubarak, former Libyan President Muammar al-Gaddafi and Rami Makhlouf, a Syrian business magnate and President Bashar al-Assad's cousin. While some Arab media outlets covered the documents in general, there was hardly any mention of Saudi Arabia's alleged links. Syrian state newspapers have completely ignored the news. But this has not been the case on social media. While many users were not surprised about Arab leaders' involvement, others thought that more should be named. Many have deep concerns about the level of corruption across the Middle East. In Syria, opposition activists were particularly cynical about leaks regarding Rami Makhlouf. He has been widely described as the one and only businessman in Syria where laws and regulations were tailored to suit his businesses. He had a monopoly over telecommunications, headed Cham Holding and had shares in many other companies. The 2011 protests in Syria were in part about Mr Makhlouf's monopoly over Syrian business. Penalties for questioning alleged financial corruption were harsh. Aref Dalila, a leading economist, was jailed for six years in 2002 for criticising government monopolies. The list of Germans named in the Panama papers makes for colourful reading. Among the board directors and real estate vendors who appear to have benefited from shell companies established by Mossack Fonseca are members of the German nobility, recipients of the German honours system and a number of brothel owners. The story may have cracked open a network of global corruption. But it is a big story for Germany too, not least because the data was initially obtained by one of the country's leading newspapers and because Mossack Fonseca was co-founded by German-born Juergen Mossack. Hundreds, possibly thousands, of Germans are named in the Panama papers. So are the country's banks. And it is possible the revelations will shed light on one of the country's enduring corruption scandals. Sueddeutsche Zeitung journalists believe several former managers from the manufacturing giant Siemens who were prosecuted for bribery a decade ago may have held on to some of their slush fund cash. The papers reveal that €3m ($3.4m; £2.4m) may have ended up in private accounts in the Bahamas and Switzerland. Siemens has said it will investigate the matter and give a statement if new details come to light. Many are disgusted, if unsurprised, by the revelations. The German government wants a worldwide ban on offshore companies whose owners remain anonymous. But ministers admit they are powerless to outlaw the creation of anonymous offshore companies.